I have been doing lots of shopping recently. I am desperate for fall, which you know if you have been reading my posts. I have invested in some new footwear over the last few weeks, so I thought I would share them with you. I realize that they are all black, but I feel like black is so timeless and versatile. They are also really budget friendly options. I ordered these babies from TARGET! Target shoes are my favorite because every pair I own is so dang comfortable. I am always browsing through their shoe department. I am eagerly awaiting the arrival of these mid-October because they are currently back ordered. About 3 years ago there was another fabulous pair of over the knee boots at Target that were like $30 dollars. My mom talked me out of buying them and I swear it still haunts me. 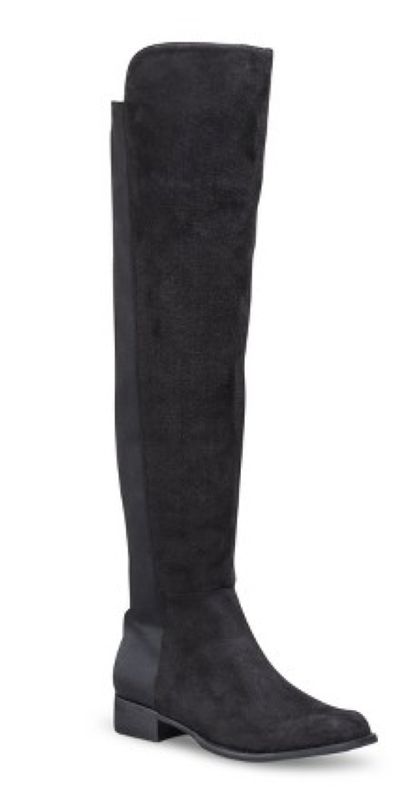 Therefore, I am praying that these fit perfectly and fill my over the knee boot void. 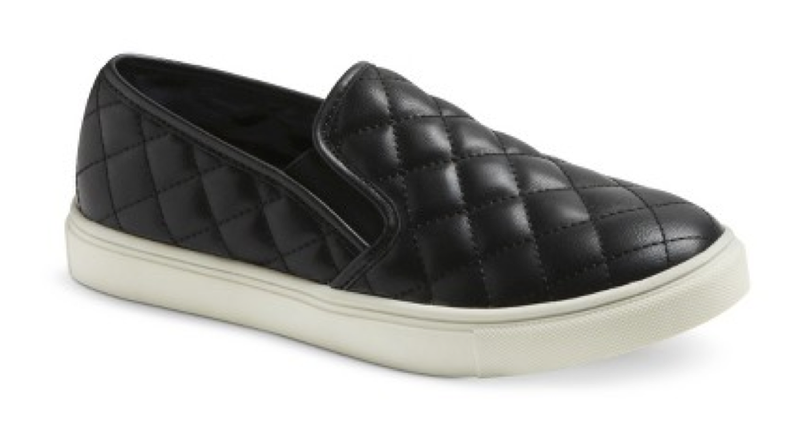 On my last trip to the mall I spotted gold, quilted Steve Madden slip-ons. Luckily they didn’t have my size, because a week later I found the Target version. I am so excited to try and figure out how to rock these. They are definitely out of my comfort zone, but I love the laid back and edgy vibe. I am hoping to style them with some boyfriend jeans, a feminine top and maybe a leather jacket. Last, but certainly not least, I found these stunners on major sale at Steve Madden. Seriously, I got these for TWENTY DOLLARS. My sister also picked up a pair. I cannot find them on the website, but it’s worth checking out your local store to see if they have any left. I will be wearing these to a friend’s wedding in a few weeks and hopefully many more times after that. This entry was posted in Currently Obsessed and tagged Currently Obsessed on September 29, 2014 by Ariana Raftopoulos.